Firstsite is located in the heart of Colchester, Essex in Lewis Gardens, just off the High Street. It’s town-centre location also makes it the ideal venue. 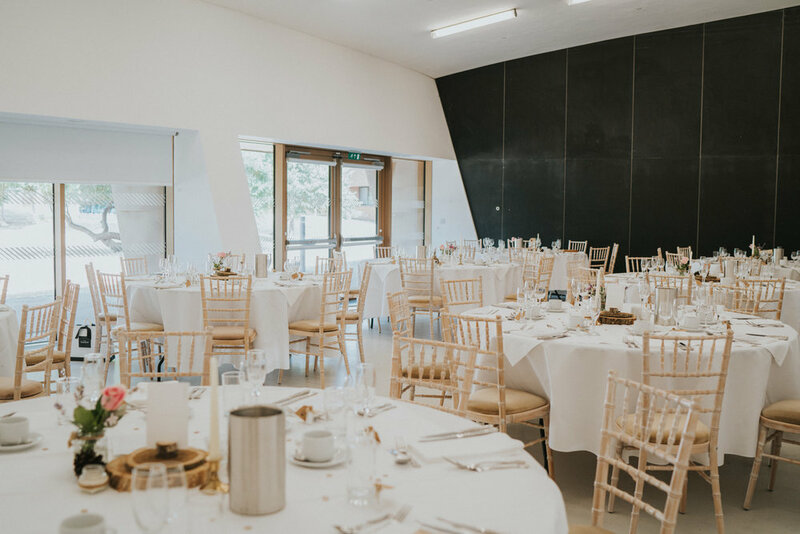 Firstsite’s glowing golden exterior creates the perfect backdrop for your wedding pictures, and their light-filled function rooms open out onto the garden that’s yours to enjoy. As preferred suppliers for Firstsite, HOGIT offers event catering from our Signature Hog Roast, to our popular Paella and BBQ within the venue. As a truly flexible wedding venue, Firstsite can host a small intimate wedding reception, party, or any celebration for up to 160 guests. Take a look at their website and discover more about the venue today. We can't wait to see you there! For further information on our party packages please take a look here, or get in touch with our friendly team today.